The ‘broke’ Zimbabwean government is set to splurge $1 billion — almost a quarter of the country’s budget — in the establishment of a Robert Gabriel Mugabe University, at a time most State higher learning institutions are chronically underfunded and the economy is on its knees. 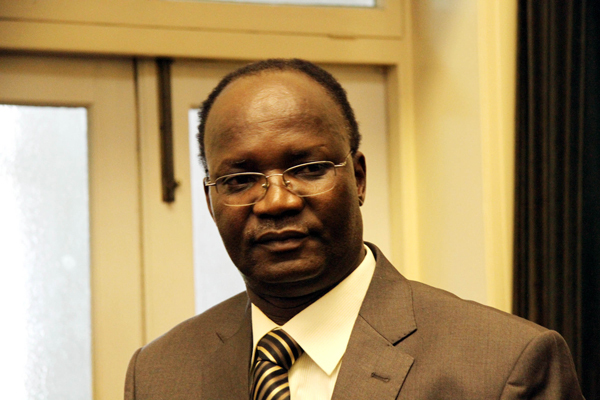 Embattled Higher Education minister Jonathan Moyo yesterday told the media that the institution will be located in Mazowe district, where Mugabe and his family have a vast business empire. Moyo unashamedly revealed that the government was pushed into the project by First Lady Grace Mugabe. “Cabinet has approved a grant of $800m towards the construction of the university and a grant of $200m towards the establishment of the university’s endowment fund for research and innovation,” he said. “We have been pushed positively. The real inspiration and mover pulling together the various pieces that need to be put in place has been the First Lady,” he said. But his permanent secretary, Francis Gudyanga, speaking at the same event, added the university will also concentrate on arts and humanities research, such as “revolutionary leadership”. “An important feature of the university will be The Robert Mugabe Institute, which will focus on research, historical collections, library and studies on transformative and revolutionary leadership, thinking and attributes that shaped the man, Robert Gabriel Mugabe, to evolve from humble beginnings into an iconic global leader, nationalist, pan Africanist, revolutionary, educationalist, strategist and champion of the rights of the downtrodden the world over,” he said. Gudyanga said the university would be incubated by the University of Zimbabwe (UZ) through a process co-ordinated by UZ vice-chancellor, Levi Nyagura, with Mugabe and Grace as its founding trustees. Zimbabwe already has 13 State universities and seven private ones. 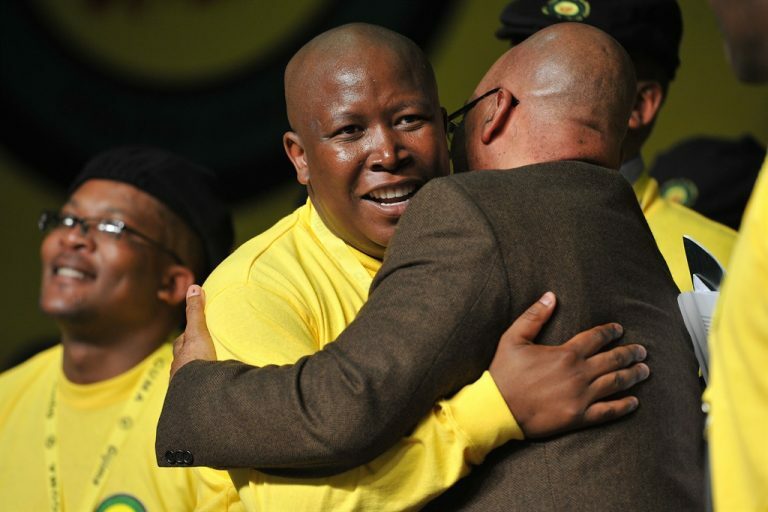 Esteemed journalist Max du Preez put pen to paper last week to once again express his views on the Economic Freedom Fighters – many of which have been disproven over the past four years since the inception of this young dynamic movement. Du Preez’s first bone of contention is the growth of the EFF since 2013. He seems to dispute the idea that the EFF is on a fast enough growth path, noting that the popularity of the movement is only “perceived” and drummed up by the media and not by the voters. But he goes on to mention that the party will probably only make a 10% showing in the 2019 election from 2014’s 6.3%. It is not clear how Du Preez does not see this as growth in simple arithmetical terms. But his contention is clearly with pace of growth. It would seem the party is not growing fast enough for him. He seems to have missed that on top of being the third biggest party in less than a year of inception, the EFF also amassed in excess of 800 councillors in less that three years of its presence in formal politics. The EFF’s astronomic growth is not a matter of dispute in the body politics. It is a scientific fact. But he betrays his leanings by quickly comparing it with the DA, which he predicts will probably make a 30% showing in 2019 – an anecdote that was not only irrelevant to his article, but also not supported by any facts. But perhaps his missed-calculations are more informed by his staunch belief that the commander in chief of the EFF, Julius Malema, is a power monger. “He wants power,” Du Preez asserts in his veiled attack on the EFF leader. There is no clarity as to why Du Preez believes this so inexorably. He has been repeating this line since as far back as one can remember. In the absence of concrete facts, it is difficult to see how he comes to this definitive conclusion. And he again betrays his disdainful views by saying “Malema’s [and other leaders] views are not as raw as in the early days”, which he patronisingly passes as a compliment. This reminds one of the missionaries of the 1700s who to referred to their African converts as the “more civilised” ones, polished of their rough edges. So it seems the rawness is what bothers the esteemed stalwart about the EFF. Yet if Du Preez had kept his ear to the ground, he would have heard from beyond the distant horizons that the “rawness” has been hailed by ordinary South Africans, not the media, as “the truth”. There is no polish or refinery for truth. It is either raw, or it is modified, and if it is modified, it is no longer truth. Du Preez then draws particular attention to a statement Malema made in which he said white people were supremacists. He seems to defend the principle that there are some white people who must be exempted from the inhuman supremacy against blacks in general by a collective white minority. He reminded me of some of us black men who sought to be exempted from the patriarchal violence on women we are witnessing today, qualifying that there are some among us who are not violent. I was one of them, and I have seen the error of my ways. The conversation was a lot deeper than the narrow individual interest. Du Preez himself is highly vocal in the white community conscientising them on taking “collective” responsibility for the effects of white supremacy on the collective black mass. What then is the difference when the same gospel is preached by Malema? He then strangely criticises the EFF’s constant engagement on race issues. One would think Du Preez would know that race relations in South Africa are far from resolved and that walking on egg shells has not assisted – it has fermented latent racism. Rwanda imploded precisely because of this avoidance of pertinent issues. So did Zimbabwe. The EFF is encouraging an open discussion on race matters that too many are afraid to engage with publicly. Surprisingly, Mr Du Preez himself is an ardent advocate for dialogue on race relations. So ardent that he has been vilified by racists himself for being too harsh on Afrikaners. That he dismisses the land question does not deserve much attention. He relegates it to “a popular slogan, but this is more about symbolism and assertiveness than reality”, he says. I’m certain someone else inserted that line in his absence and he didn’t care to proofread it. It cannot be Max du Preez who dismisses such a core struggle agenda in such a crass manner purely because of his personal feelings for a party advocating for a more serious discussion on land. Where is our hope of brave white people who will dare speak without fear on the land question and explain cogently to fellow whites what this struggle is about. This is totally reckless from a stalwart journalist. For his benefit, there is now a healthy discussion among professionals from economists to judges who are deliberating on the effects of expropriation of land and nationalisation of mines. Du Preez’s own conclusions on the subject are not the final word by any stretch of the imagination. And if Du Preez strongly believes the EFF’s submissions must not be tested because they have failed elsewhere, then by this global logic, no one should try anything after it has failed elsewhere. By this logic, Karl Benz should not have attempted building a car after Frenchman Nicholas Joseph Cugnot failed dismally with his “fardier à vapeur”, not to mention the host of other failed pioneers who lined up in between them. Where would the automobile be today? And it is rather peculiar and crude to compare President Jacob Zuma’s rhetoric on land with the EFF’s well-considered arguments that it makes in Parliament and engages local and international minds on. The EFF is not a bunch of naïve rascals who just “want power” as Du Preez puts it. This is why he will never fathom its longevity. He still has to understand its internal and internationalist machinations which are yes young, but highly sophisticated. Interestingly, from Pixley ka Isaka Seme’s accounts, this is the kind of criticism that was levelled at the South African Native National Congress from Doubting Thomases who perpetually predicted it would never see two years in existence. In 2013 critics predicted the EFF would not see its second birthday, Du Preez has benevolently extended it to six. Perhaps his benevolence will persist at the sixth birthday and extend it to 10. The EFF is eternally grateful for his graciousness. But Du Preez’s other criticisms are petty and lack the kind of sophistication we’ve come to expect from a professional of his calibre. He squirms at the EFF’s going to visit King Goodwill Zwelithini and dismisses it as “sucking up”. For a man who has seen as much politics as he has, this is below par and disappointing. Does he not know that societies are captivated by certain individuals of perceived power or influence? And that in order to access such societies, one of the effective channels is such individuals? Because the EFF has ambitions to grow beyond his projected 10%, how else will it penetrate KwaZulu-Natal, some of whose sway is firmly in the influence of the king. Did he dismiss the number of times Nelson Mandela went to visit the very same king as “sucking up”? My guess is he did not. Then one has to ask if he perhaps harbours a certain particular disdain for the EFF and why. If Du Preez cared to exercise restraint in his bias, he would have noted that it is the EFF that is the victim of violence in Parliament. If this humble fact is not satisfactory enough for him, perhaps he would be satisfied by the court judgment in the EFF vs Baleka Mbete case in which the courts found that the decision to violently eject the EFF from Parliament was illegal. Du Preez would have also followed on social media that Parliament had increasingly and illegally armed itself with special forces to administer violence on the EFF’s members. The organisation has a constitutional right to defend itself. The statement he makes is insensitive in light of the violence on the many women of the EFF, many of whom had to be hospitalised because of this underhandedness of the state. For a seasoned and stalwart struggle journalists such as himself, this deliberate oversight is perplexing and tasteless. Perhaps Du Preez can take a leaf out of another veteran journalist’s book. Fred Khumalo wrote, a day before Du Preez put his thoughts together, in an article titled I salute the commander in chief on his march to the presidency. Khumalo starts by admitting what Du Preez fails to, which is that he should be eating his hat for undermining the longevity of this movement, which many South Africans – not the media – now see as their eyes and ears on matters of truth. Khumalo makes no bones about his distance from the EFF and notes his continuing criticism, but he is fair enough to at least acknowledge the obvious growth of the young movement. Du Preez fails dismally at this rather basic benchmark. It is not beyond the vicinity of possibility that Du Preez’s denied but unwavering belief in the EFF is his own Achilles Heel in his rather erroneous analysis of the party. If this is even remotely possible, then it is this belief in the party that has led him to mistakenly assert that it has the capacity to be government in 2019. He has lost patience and is bitterly disappointed in realising that this may not be reflected in the numbers he has been witnessing in the last two polls. But Du Preez must exercise patience. Rome was not built in five years. The EFF is young, it acknowledges the fact. It is growing, but it is young. The commander in chief of the EFF has continuously said the EFF will not take power through the back door; that it will build slowly and patiently through branches and persuasion. The party did not hasten to desire to govern metros in the 2016 election when it had the bargaining power to do so. It instead opted out of the power games and rather elected to go back to the ground and build. It is now speaking to the same youth Du Preez claims it is not engaging. It has taken a well-considered decision to build in the provinces not only of Limpopo and North West, but as well in KwaZulu-Natal and the Eastern Cape where Du Preez correctly notes that it was not strong. This is clearly a movement that is more patient with its growth and does not “want power” as Du Preez continues to believe. Evidence through scientific numbers in polls and in public opinion have clearly shown that the ANC on the other hand is on a downward trajectory. Why would a dynamic and growing outfit such as the EFF want to go back to such decay. The EFF is democratically contesting power through the ballot and has adequately demonstrated that it will not take power “by any means possible”. It is precisely in that spirit of its politics that the ANC is not even a remote possibility. The party will be a majority party without a shadow of doubt, but it will do so with patience and persistence. P.S. Dear Du Preez. It is time to change your stance on the EFF. You do not have to like it, but at least speak the truth about it. You are a man who has dedicated his entire life to chasing the truth. We expect nothing less from you. You once asked in an article you wrote, why the “democrat” Fana Mokoena joined the EFF. It is because he got tired of dancing around the truth that was there for all to see. Change is not happening for Africans. We have been polite about it, but it is simply not coming. It is more than frustrating, it is painful. That pain is growing every day we see our parents, family and friends perpetually descend into the abyss of poverty. Zanu PF youths in Banket are reportedly fighting for control over a lucrative gold claim in the area. Ward 22 youth chairman Steven Zidana is reportedly embroiled in a wrangle with Never Hutepasi, who is a member of the provincial youth league for Mashonaland West. Investigations done by this reporter revealed that the illegal mine which is in Banket near the Anglican Church was once shut down by the Environment Management Agency a year ago with some of the people who operated at the site reportedly arrested and appeared in court for illegally prospecting for the precious mineral. The gold mine which is also near a primary school is reportedly linked to some youths with connections to the Minister of Mines and Mining Development Walter Chidhakwa prompting authorities to turn a blind eye at the illegal operations. Currently the youths are engaged in a bitter fight over control of the mine. Sources close to the wrangle said Zidana is being chased away from the mine where the Mines minister’s security aides only identified as Sibanda and Percy have a stake. One of the youths, Wonder Hutepasi is allegedly barring a group of unemployed youths led by Zidana from the claim. This was after rich pickings following gold ore discoveries after working at the site for more than two months. It is said there is bad blood between Zidana and Minister Chidakwa who is also the area’s Member of Parliament for his links to a Zanu PF candidate who is standing against the legislator in the forthcoming primary elections. The youths returned to work at the site after other illegal mining activities were stopped at Eldorado Mine near Chinhoyi where at least more than 20 people died due to accidents with police and Zanu PF chefs from Mashonaland West being at the centre of the illegal mining activities. Banket police have chosen to ignore the illegal activities even though the place is just a stone throw away from the police station. The Banket Town Board has folded its hands, as environmental degradation takes its toll. There are unconfirmed reports some senior council employees are benefiting from the gold at the illegal mine, according to a report by a community environment monitor. When contacted for comment, Banket police referred questions to the Mines ministry and argued it would be subjudice to comment as the matter was still before the courts. Repeated efforts to get a comment from Chidhakwa or his aides were fruitless. THE Zimbabwe Congress of Trade Unions (ZCTU) has volunteered to craft the opposition MDC Alliance’s election manifesto to reconnect the opposition leaders with the workers. 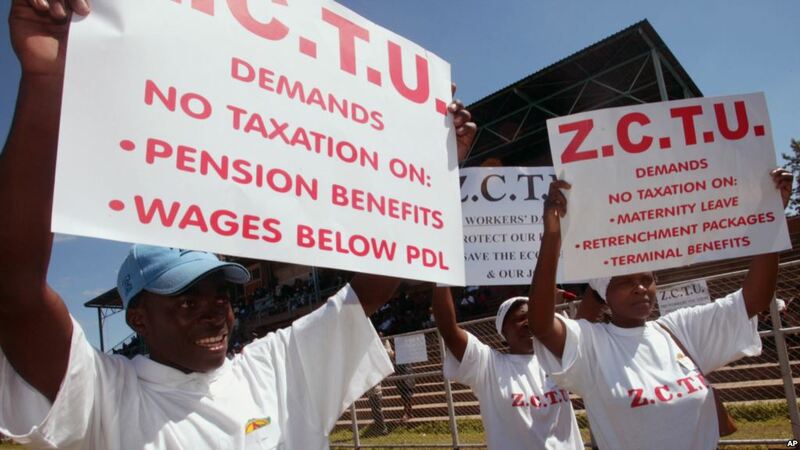 ZCTU president Peter Mutasa told thousands of opposition supporters at the MDC Alliance launch rally in Harare on Saturday that workers were better placed to put together a winning manifesto. “We are on the ground as workers’ leaders and we know what the people want. If you are sincere about going back to your founding values, it would be proper for you to allow us to craft the manifesto for next year’s elections. Once the alliance has been set up, we will give you a manifesto with the issues that touch at the heart of the people,” Mutasa said. 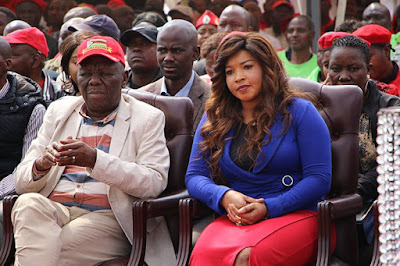 While the MDC-T in particular has over the years sought to project itself as a social democratic party with pro-labour leanings, critics have accused the Morgan Tsvangirai-led party of dumping its labour background and adopting capitalist tendencies. Mutasa warned opposition leaders not to lose direction once elected into power. “Whatever happens, you must remember that once you are elected into power, it is taboo in African custom to eat your totem. Do not eat the workers once elected into power. Do not turn against labour once you have your hands on the levers of power. That is why we must continue to guide you, including through the manifesto,” the ZCTU leader said. The envisaged alliance brings together MDC founding members Tendai Biti and Welshman Ncube, among others. Ncube, who served as MDC’s first secretary-general, broke ranks with Tsvangirai in October 2005, accusing the former Prime Minister of being a dictator. Biti took over as secretary-general, but also broke away in 2013 questioning Tsvangirai’s leadership qualities. 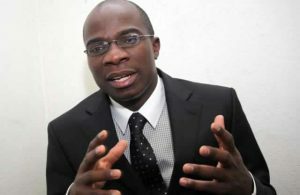 Both Biti and Ncube pledged to take the opposition back to its founding values. “We are here because we want to give the people of Zimbabwe a fighting chance at removing Mugabe. We are here to give a fresh, new beginning, to rest factory settings to our struggle,” Biti said. World Bank representative in Zimbabwe, Johannes Herdeschee has said while the country faced a myriad of problems, fiscal deficits, which have ballooned to 10% of gross domestic product, were the biggest threat to macro-economic stability. 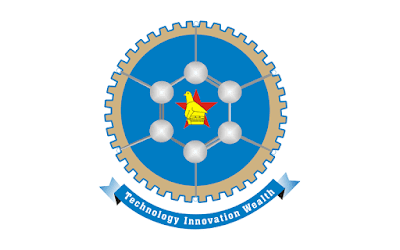 Herdeschee said this while presenting at a public seminar titled Breaking New Grounds in Agricultural Financing in Zimbabwe: The Use of Alternative Collateral and Risk Sharing Mechanisms in the capital on Friday. “It is fiscal policy that got us to where we are,” he said. “The deficits are large and it is very important that each dollar be spent as efficiently and effectively as we can. 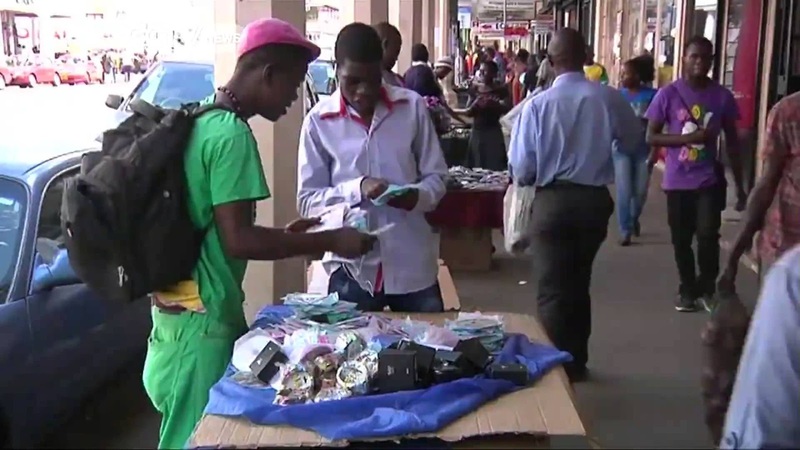 The World Bank representative said Zimbabwe should bite the bullet and implement austerity measures to improve macro-economic conditions. “We should look closely at where the money goes. Fiscal adjustment is important and let’s make it as less painful as we can,” Herdeschee said. Zimbabwean authorities have relied heavily on the use of Treasury Bills to fund budget deficits and, by central bank’s admission, they have issued more than $2 billion TBs since the beginning of the year. 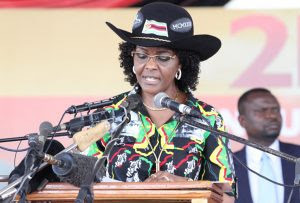 President Robert Mugabe, for political reasons, last year diverted more than $500 million to agriculture through syndicated debts from the private sector. “Fiscal deficit is more than 10% of GDP. It is the growth from 3% to 10% in 2015 that contributed massively to fiscal deficits,” Herdeschee noted. Zimbabwe, since 2013, has been involved in discussions with multilateral financial institutions, particularly the World Bank and the International Monetary Fund. However, the discussions have borne little fruit, as the Mugabe government is reluctant to implement the suggested austerity measures now that his eyes are fixed on the 2018 elections. 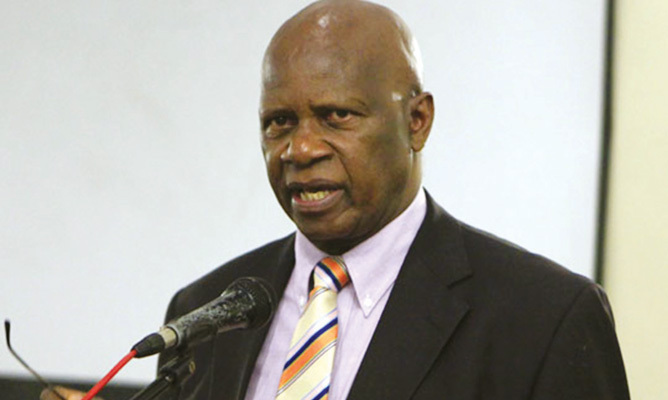 FINANCE minister Patrick Chinamasa has said government had learnt from its past mistakes and would not order another debt write-off on local authorities as the majority were failing to recover from a similar directive issued in the run-up to the 2013 harmonised elections. Chinamasa told delegates at the Urban Councils Association of Zimbabwe’s business conference in Harare that the 2013 debt waiver caused financial loss of more than $500 million to local authorities, which some councils have not recovered from. “The Ministry of Local Government has already submitted to us as Treasury a list of local authorities that incurred losses due to the cancellation of the outstanding bills. Let me say that that will never happen again,” Chinamasa said. Chinamasa said the debt cancellation had affected investment in municipalities. Chinamasa rapped top officials who awarded themselves hefty salaries at a time their councils were struggling to stay afloat. “You must appoint appropriate people and qualified people to run your finances. Thirty percent of revenue should go towards employment and 70% towards service delivery and if it is the other way round, you will never get things right. Vice-President Phelekezela Mphoko opened the conference urging the private sector to partner councils in promoting infrastructure development. Clearance of goods at the country’s border posts has reportedly been at a standstill since Friday following a technical hitch with the customs and excise department’s automated system, also known as Asycuda. Scores of trucks were stuck at Beitbridge and other ports as shipping agents resorted to manual clearance of goods. 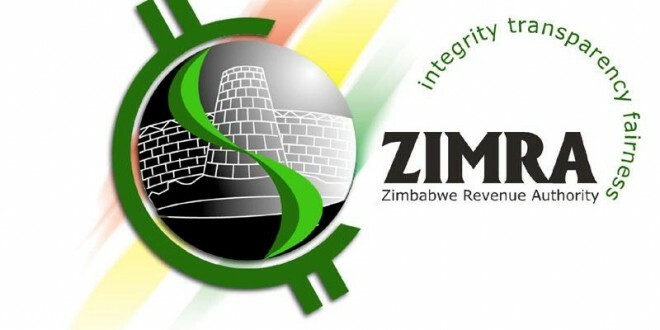 Zimbabwe Revenue Authority (Zimra) spokesperson Canisio Mudzimu confirmed the glitch in a statement yesterday, saying the problem had since been rectified. “The technical problem was caused by some power outages, which affected part of Asycuda World’s functionality. However, urgent maintenance work is being conducted in collaboration with the United Nations Conference on Trade and Development consultants,” Zimra said. “As you appreciate, Asycuda World enables clients to submit their customs documents to Zimra from anywhere in the world provided that one is registered with the authority and there is Internet connectivity at the place from which one will be transacting. Asycuda World enables pre-clearance of goods, which entails that importers can clear their goods before arrival at the port of entry as a way of facilitating smooth flow of cargo. 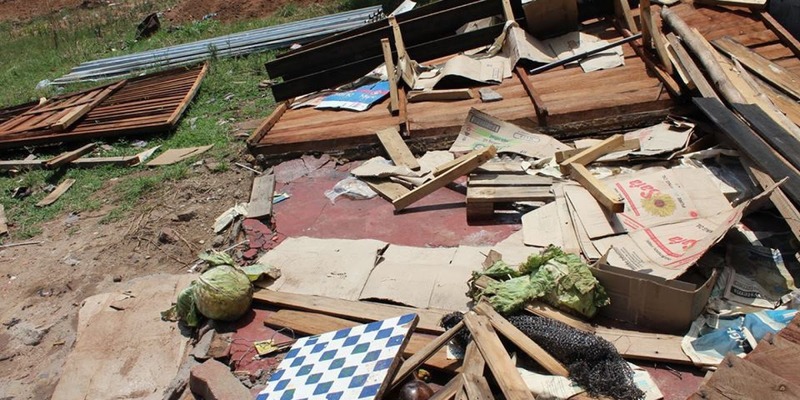 Where the goods would not have been pre-cleared and the system is down, a business continuity process will be evoked to facilitate trade,” said Zimra. But truck drivers at Beitbridge Border Post complained that the fault had negatively affected them. Shipping and Forwarding Agents’ Association of Zimbabwe chief executive Joseph Musariri called on Zimra to timeously communicate with stakeholders when facing connectivity challenges. “We appreciate Zimra’s system which has made our job easier, but their network is not reliable and develops faults regularly,” he said. “We only urge Zimra to come public when such problems occur because there is confusion between us and our clients waiting for their goods,” he said. South Africa, whose customs and excise system is well-oiled, kept releasing trucks whose numbers kept swelling because they were not being released at the same speed as they came. Dynamos star striker Christian Ntouba Epoupa (pictured) could be sidelined for weeks after suffering a groin injury in the team’s match against Black Rhinos, dealing a huge blow to the Harare giants’ hopes of challenging for the Castle Lager Premier Soccer League title this season. The Cameroonian hobbled off the pitch after 68 minutes, clutching his groin and looking in serious pain, in Dynamos’ 1-0 win over the army side on Saturday. Team manager Richard Chihoro yesterday confirmed the big striker suffered a groin injury, but said they were yet to determine the severity of the problem. “He has a groin injury. He didn’t train today and we fear he will be out for some weeks. He is receiving treatment,” Chihoro said. “But with groin injuries one needs some rest for them to recover. It’s a huge blow for us because he is one of our best players at the moment and we would want to have him for all our matches,” Chihoro said. Recovery time for a groin injury depends on the severity of the injury. A mild groin strain may heal within a few weeks, whereas a severe injury may take six weeks or longer to recover. Athletes are normally encouraged to stop doing activities that cause pain until the groin has fully healed. Ntouba, who has endeared himself well with the club’s hard-to-please supporters since joining the club at the start of the season, will not be in Dynamos’ matchday 21 squad to face Bigboy Mawiwi’s Hwange at Rufaro Stadium tomorrow. He may not be the only injury absentee for the Glamour Boys with goalkeeper Tonderai Mateyaunga still being monitored by the club’s medical staff ahead of the match. Mateyaunga missed the Rhinos match due to injury and Ashley Reyners held fort, but did very little to convince the Dynamos faithful that he can do the job with some dodgy goalkeeping. The good news in the Dynamos’ camp is the expected return of Denver Mukamba, who missed the team’s last two matches. The midfielder was suspended for his team’s match against Triangle and was sidelined by illness against Rhinos. “He had a bout of flu, but he is looking well now. He trained with the rest of the squad today. He should be available on Wednesday,” Chihoro said. Dynamos are third on the log standings with 36 points, four behind log leaders Ngezi Platinum, although the former champions have two games in hand against their title rivals. They are facing a relegation-threatened Hwange side who are attempting to find their feet, following a poor start to their season. The dismal start cost coach Nation Dube his job and has been replaced by former Harare City gaffer Mawiwi, who has managed two wins in four matches since taking over. “We know it will be a very tough match against a rejuvenated team. They are desperate for points especially at this stage of the season. It’s the second half of the season and everyone is scrambling for points for different reasons. All the teams always step up their game whenever they are playing Dynamos anyway, but we have become used to it so we will prepare for it the same way we prepare for all the other matches. We are playing at home, and we should be able to get all the three points,” Chihoro added. The Rufaro double header which had been scheduled for 1 and 3pm for the Harare City, Shabanie match and the Dynamos , Hwange could be moved to evening kick offs at the request of DeMbare. An inspection specifically for the lighting system was set for last night, which would be used to determine whether the stadium can host evening matches. 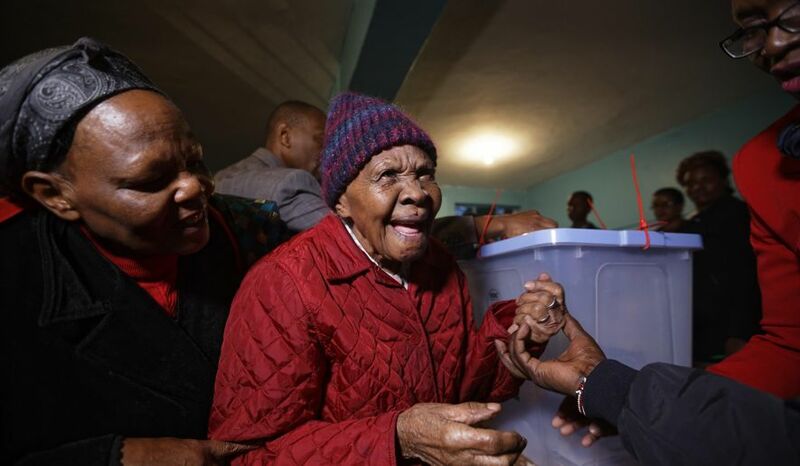 NAIROBI (Reuters) – Clutching her rosary in one hand and voting card in the other, 102-year-old Lydia Gathoni, a clear contender for Kenya’s keenest voter, queued through the night to ensure she was first in line to cast her ballot on Tuesday. 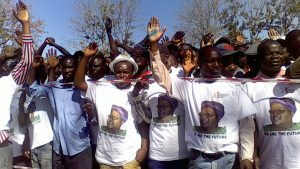 KADOMA-Tensions ran high during the emotionally-charged burial of Zanu PF Mashonaland West proportional representation MP, Joan Tsogorani, yesterday in Kadoma amid accusations she was bewitched by fellow party functionaries jealous of her political rise. Tsogorani (nee Mashoko) who was 43 years old passed away on Monday after suffering from hypertension-related complications for some weeks, which resulted in her turning blind before succumbing to respiratory failure at West End Clinic, Harare. Mugabe is back to haunt it again.